Vellum piecestretched over board, varying shades of lavender-coloured built up capital letters, with raised and burnished solo dots. 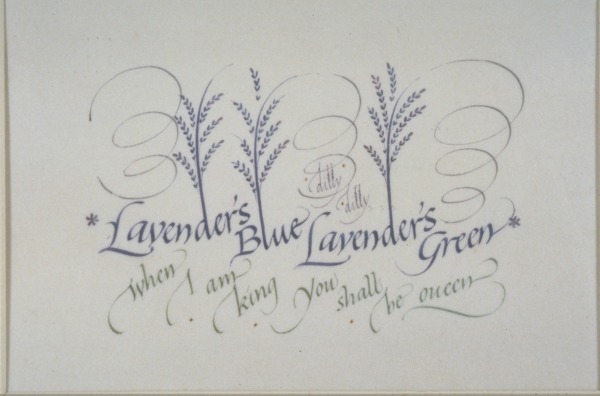 The piece reads 'Lavender's Blue, Lavender's Green, When I am King You shall be Queen.' Framed.